On Tuesday morning, September 7, friends of justice all over the world were saddened by the passing of Reverend Lucius Walker, Executive Director of IFCO/Pastors for Peace, in New York. Reverend Walker’s death, at age 80, was caused by a heart attack. Lucius Walker was born on August 3, 1930, in Roselle, New Jersey, and thus was a contemporary and associate of the giants of the Civil Rights movement. He got his undergraduate degree from Shaw University, in Raleigh, North Carolina. In 1958, he was awarded a Master of Divinity degree from Andover Newton Theological Seminary, and in 1963 earned a MSSW degree from the University of Wisconsin. He was instrumental in founding Northcott neighborhood house in Milwaukee, an institution which worked to improve education opportunities for inner city youth. In 1967, Lucius Walker founded the Interreligious Foundation for Community Organization (IFCO), to channel church support to progressive organizing efforts. Between 1973 and 1978, Walker served as Associate General Secretary of the National Council of Churches. He returned to lead IFCO again in 1979. In 1984, he became the first pastor of the Salvation Baptist Church in Brooklyn, New York, a center of progressive preaching and social activism. 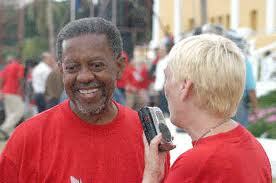 Under Walker’s leadership, IFCO helped launch numerous social justice organizing initiatives. In the 1970s, it promoted justice for Haitian Refugees. IFCO’s increasing interest in the international dimension of social justice struggles led to an IFCO delegation to Nicaragua in 1988. On August 2, 1988, Walker’s party was ambushed by right wing, U.S. supported contras; two Nicaraguans were shot dead and Walker and others were wounded. This did not discourage the reverend (nothing did). Thus began the heavy involvement of IFCO and its partner organization, Pastors for Peace, in social justice struggles in the Latin American and Caribbean area. In 1992, Cuba had just lost its favorable trade relationships with the Soviet Union and the socialist bloc. Arrogant imperialists were crowing that that the Cuban Revolution was finished. Then Reverend Walker burst on the world’s consciousness with the IFCO/Pastors for Peace, Friendshipment Caravans, which defied the laws which maintained the blockade by gathering up humanitarian supplies, ranging from food to bicycles to computers, and bringing them across the U.S.-Mexican border and thence to Cuba. The first Friendshipment was in 1992. This writer has a vivid memory of a talk Walker gave in Chicago. He explained that Cuba could not be economically rescued by humanitarian aid, but that the Friendshipments should be seen also as an organizing and educating tool to change the consciousness of the U.S. public, and to build the movement within the United States for a fundamental change in Cuba policy. There followed 21 Friendshipment Caravans. 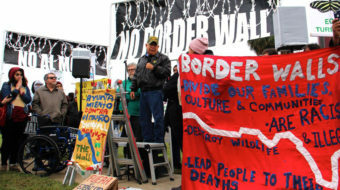 There were often standoffs at the border in which U.S. agents tried to prevent the caravans from continuing. There were sometimes violent incidents, but neither Walker nor any of his supporters ever backed down an inch. Walker always refused to even apply for a license to bring the supplies to Cuba, on the principled grounds that this would legitimize an unjust system. 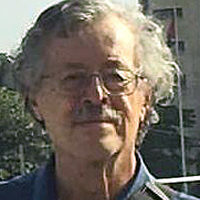 In 2007, Walker took a group of New York City high school students to Cuba. As a result, he and IFCO/Pastors for peace were subpoenaed to give evidence against school personnel who had helped organize the trip. As always, Walker refused to cooperate, on principled grounds. The Caravans were expanded to include other places, including Chiapas in Southern Mexico, and El Salvador. Walker was working on the Haiti issue at the time of his death. Walker negotiated with then Cuban President Fidel Castro to make it possible for U.S. youth from poor communities to study at the Latin American School of Medicine in Cuba. Close to his heart was the issue of the Cuba 5, in whose cause Walker was a major actor. Shortly before his death, he had been working to pressure the U.S. government to issue visas to the wives of two of the Cuba 5 to enable them to visit their husbands in prison; visas which have been cruelly denied for 12 years. There were widespread expressions of grief in Cuba, the United States and elsewhere. As Lucius would have said: Amen.